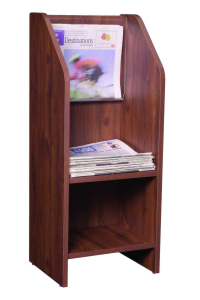 This is our premium floor newspaper display. Top shelf holds up to 15' high and bottom shelf holds up to 10' high. Dimensions: 17" Wide x 38" High x 13" Deep.